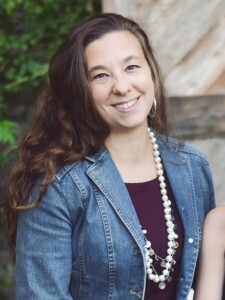 One of the fun features of Mother Goose Time preschool is the music component. 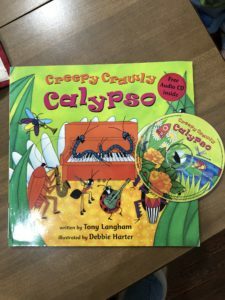 Creepy Crawly Calypso is one of the book/CD sets that I have held on to for over a decade. I pulled it out tonight for Huddy, and I was pleasantly surprised at how much he enjoyed it. This colorful story is about ten bugs playing ten different instruments, so kids learn about musical instruments, bugs, and numbers! 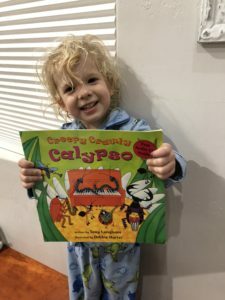 Not only is it a fun story with brightly colored illustrations, but the CD that accompanies it includes the story set to music and the sounds of each of the ten instruments (Hudson loved hearing the sounds of the different instruments! ), as well as the music alone for dancing/singing.